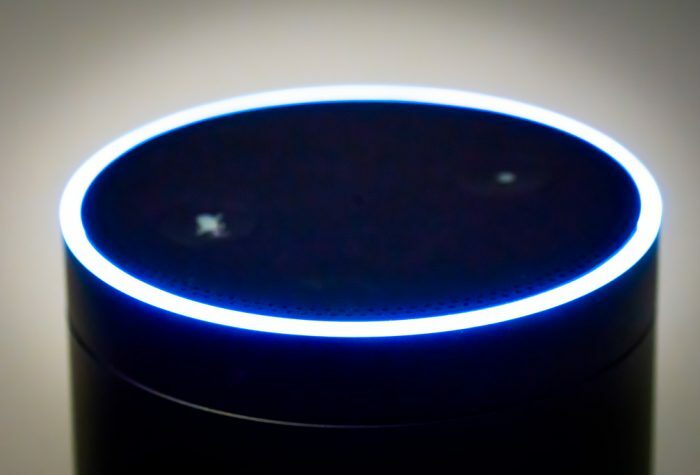 Scheduling: Amazon’s Alexa recently started to sync with Outlook and Google Calendar to help busy families stay on top of their calendars. It makes sense the technology would become available to busy executives, as well. Indeed, sometimes it feels like a full-time game of musical chairs trying to make all my meetings and responsibilities fit—especially with last-minute cancellations and emergencies. A new technology from X.ai called “Amy” is helping to change that. Amy is designed to serve as a personal scheduling assistant, automatically responding to any message relating to meals, meetings, and business calls—without ever informing the sender that she is—in fact—a robot. Amy has been trained to understand casual phrases such as, “Can we get together?” and “Let’s chat soon”—and she even has a LinkedIn page—complete with endorsements—for those interested in learning more about her. The best part: she works 24/7 and responds within 10 minutes. And she only costs $39/month. Dictation and Documentation: For busy doctors and nurses especially, the act of dictating patient notes and entering clinical documentation can be time-intensive and inefficient. Luckily, new HIPAA-compliant technologies, such as Dragon speech recognition software are making that process easier, allowing for bedside dictation and accurate transcription of even the most technical medical language. Undoubtedly, the technology could also be useful in court transcription, documenting witness interviews in criminal cases, and other legal proceedings. Inventory: Personal AI assistants can be used to monitor supply-chain management, as well. For instance, Watson’s Order Optimizer and IBM Commerce Insights are helping retailers find right-size inventories and avoid out-of-stock issues that can lead to customer complaints—and lost revenue. Says one writer, AI is “revolutionizing inventory agility” using complex optimization algorithms that could save companies millions. Facility Management: What Nest has done for our homes, personal AI assistants are now able to do for our office buildings and campuses, managing everything from lights to air conditioning at a moment’s notice, helping to save companies money—and helping to save the planet. The fact is, AI offers a tremendous opportunity for increased efficiency, agility, and cost-savings in the business realm. The only concern: it isn’t perfect—yet. In fact, some estimate it could take up to 10 years for the technology to go mainstream in terms of reliability and ease-of-use. For instance, it took a full team at USAA credit union six months—and 2,000 starter questions—to begin training their customer service bot to help one specific segment of their customer base: those leaving the military. Yes, it will likely save time long-term. But at the moment, it’s simply meant to support employees in helping serve their customers better—not necessarily save to money in overhead or employee pay. Before they can be adopted fully into the business world, AI assistants will most likely have to be tweaked to increase compatibility with other office technologies and software. Still, although AI assistants may not necessarily pay off immediately, that doesn’t mean companies shouldn’t jump in and get their feet wet while the technology is young. In a 2016 research report, “Why Artificial Intelligence is the Future of Growth,” Accenture found AI adoption could double economic growth rates—across all industries—by 2035. Why risk falling behind the competition?